The weather is asking for new flip flops. So I thought I could make a cute pair out of cheap flip flops and some ‘t-shirt yarn’. I used store bought yarn (Zpagetti from Hoooked), but you can also make the yarn yourself from old t-shirts. You can find a tutorial on how to do this here on Youtube. 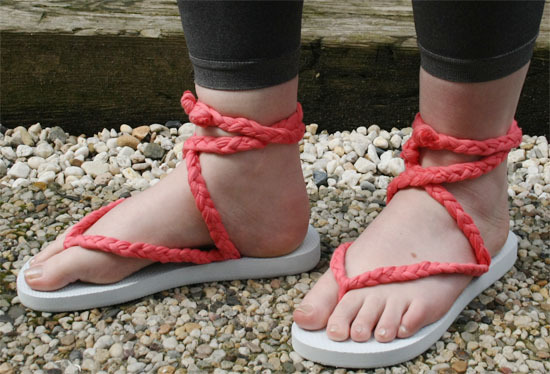 You will find a tutorial with pictures for these DIY flip flops after the jump. . .
1/2. Get your flip flops and remove the straps. You can do this by pushing them through the back a little and cutting the wide part off. 3. Take 3 strands of yarn from 50 cm and make a knot at the end. Push the yarn through one of the two holes at the side of the flip flop. You can use the point of your scissors for this. 4/5. Make a regular braid with the yarn. 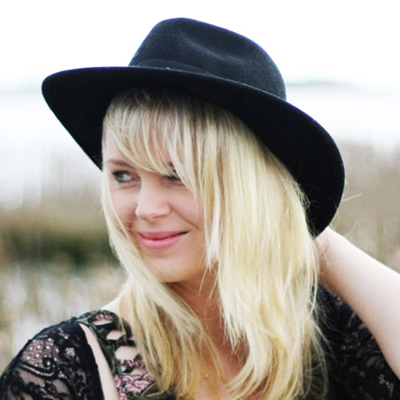 You can use the original strap to decide how long the braid should be. Keep in mind that the yarn stretches a lot more then the original straps. 6. 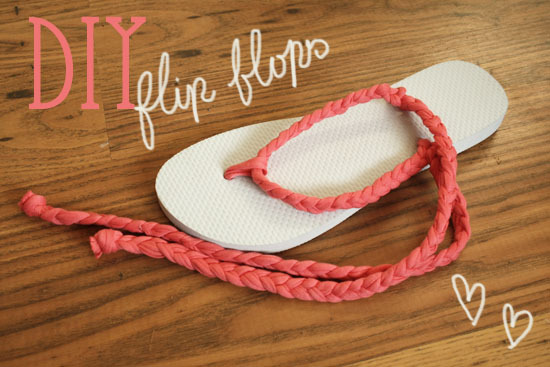 Push the ends through the hole on the other side of your flip flop and make a knot at the back of the flip flop. Cut of the excess yarn. 7/8. Use one strand of yarn to make the piece between your toes. You need to make a loop over the braid you just made and push the ends through the hole between the toes. You have to make a double knot here, to make sure it will stay put. Cut of the excess yarn. 9. Decide how long you want your straps to be. You are going to braid again so you have to cut of some extra yarn for this. You need for each flip flop four strands of two times the length you want for your straps. So if you want your straps to be 50 cm, you will need four strands of a meter. Separate the braid at the bottom, as close as possible to the hole and push two strands of yarn through it until they are halfway through. Make a regular braid and make a knot at the end. Cut of the excess yarn. Repeat on the other side of the flip flop. 10. Your pretty flip flops are ready to go out!